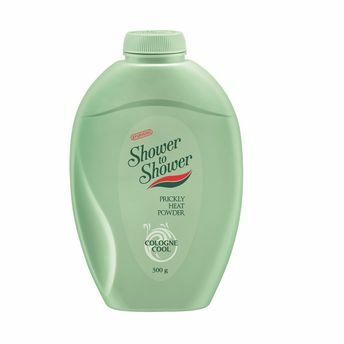 Forget the enervating summer heat with Shower to Shower Cologne Cool prickly heat powder that has been specially designed to help prickly heat-related problems with utmost ease. Its soothing properties help reduce prickly heat rashes and provide nourishment to the skin. The cooling cologne calms the skin against the blistering heat and continuous sweating. This Ayurvedic talc is enriched with natural extracts which makes it suitable for adults as well as children. Enjoy the coolness of this talc with its pleasant fragrance which lasts long and makes you smell great all day.